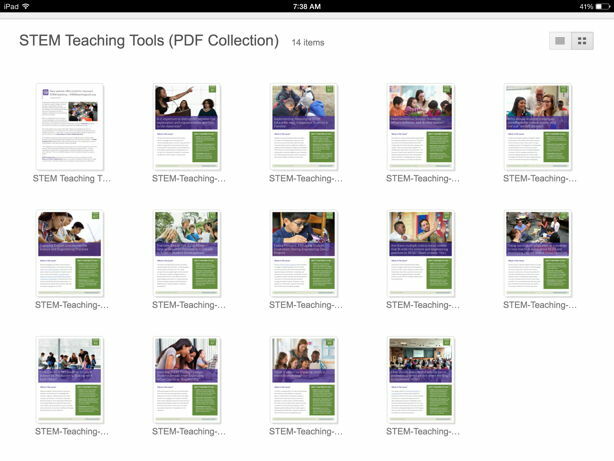 Want to easily download the entire collection of STEM Teaching Tools? We are gratified to hear that so many people have been using the tools. Some people are printing out the PDF versions and reading and discussing them in PD sessions or at science department / PLC meetings. Others are putting the PDFs on tablet devices for people to read during these meetings—so people can browse the links. Some are broadly sharing the PDF versions electronically with colleagues. That is all great to hear. Please drop us a note at STEMteachingtools@uw.edu if there other ways we can make the site more useful.